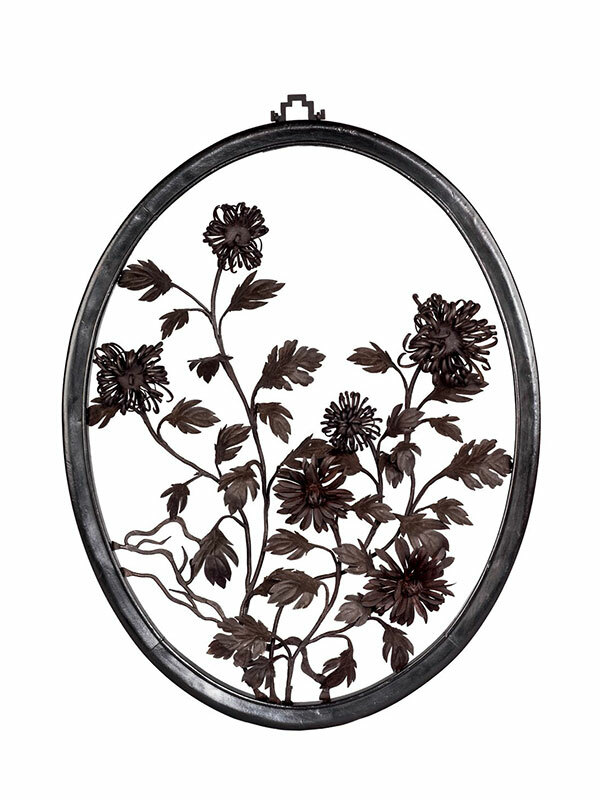 An oval iron painting,depicting branches of flowering chrysanthemum. The wrought-iron elements are made individually and jointed together with bolts. The iron painting is contained within an oval hardwood frame.